Yes folks, here we are again, it's time for another Frontierville Express building guide! 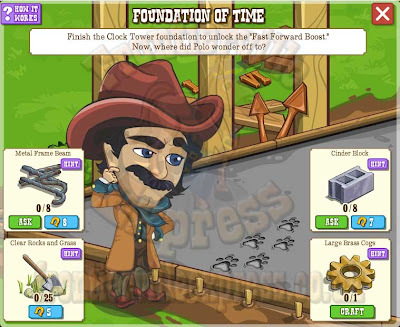 The Clock Tower will need two things crafted during missions, one of which is ALSO crafted during the building procedure. There's a few things for the building, and a lot of stuff comes from the new Brass Forges which are a free gift. 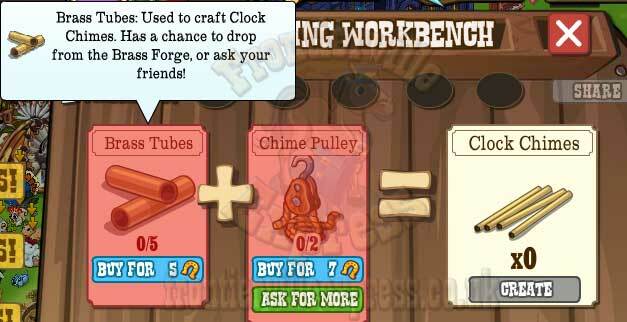 As far as we know just yet there's no inventory limits for any of the items. 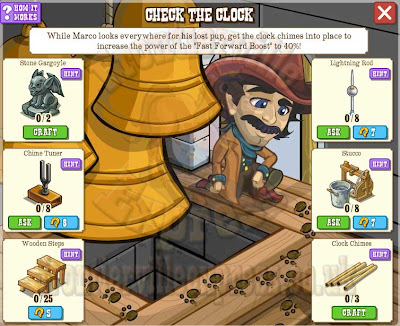 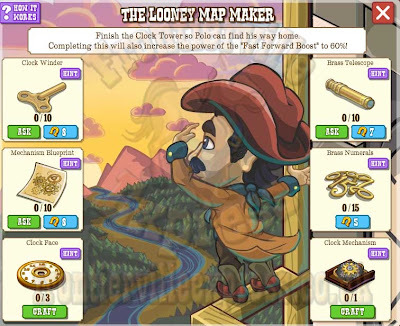 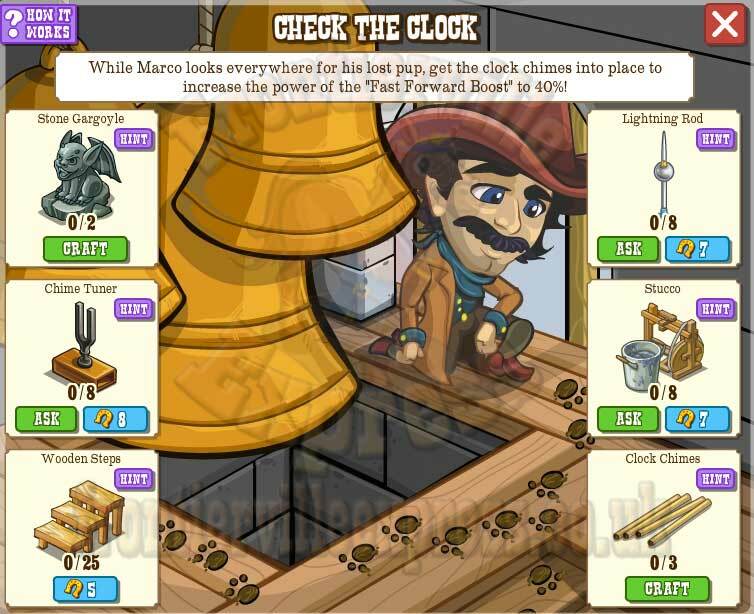 This next one is a little confusing, you need to craft a Brass Cog to Craft a Clock Works to Craft a Clock Mechanism along with crafting a Clock Chimes.